To support the recent nationwide prison strike, we are donating of RPG books and materials in solidarity with the incarcerated populations. You may have read the Vice article from last year about how common role-playing games are inside prisons. Most inmates just lack the rule books (they can't have dice inside but have plenty of clever ways around the ban). RPG manuals are on the "most requested" list of almost every prison book donation website and are never stocked by the humorless authoritarian bureaucrats that run what's left of prison libraries. These books are so in demand that when charities are no longer accepting general donations, they will always make an exception for RPG books. We don’t need to convince y’all of the power of role-playing games. Most of us read the great post by the recreational therapist running a D&D game in California. Other prisoners have written about how their D&D games have helped them deal with life inside and help their fellow inmates. More importantly, if you are an American, you know how needlessly cruel, punitive, and dispiriting prisons are in this country. D&D and other RPGs are for everyone and prisoners need these games more than anyone. One place that you can mail and specifically needs RPG books right now is Books to Prisoners in Seattle (they also have satellite groups in Portland, Olympia, and Spokane). Also, here is long list of other programs and charities that send books to prisoners. You will need to check to make sure that they are accepting books and specifically accepting RPG materials. If, like me, you are in Texas then you can drop off books for Inside Books Project in Austin. Don’t donate a boxed set or anything with dice or other stuff inside. Books only. Don’t donate books that are in poor condition. Don’t donate books that have lots of writing in the margins. Don’t send books with gratuitous violence on the cover. Do donate core manuals. Don’t donate obscure supplements. 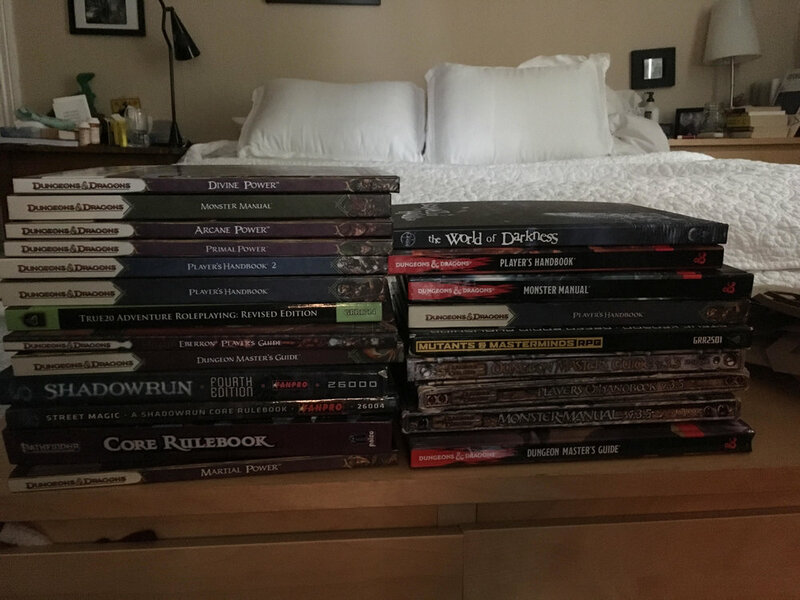 Do pressure Wizards of the Coast, Paizo, and other game developers to join the community and donate their books directly to prisons. Do call your state elected officials if you are a Pennsylvanian and get them to reverse the ban on D&D and Pathfinder books in PA state prisons. Do find other ways to support the demands of striking prisoners in any way you can. Send us a picture of the books you’ve mailed or dropped off for prisoners and we will add them to the gallery! *Based off three conversations with a books-to-prisoners volunteers around the country who knew enough to differentiate these books. Books donated by Matt’s Texas group.